Imagine sitting down to write your first book, selling the idea to a publisher and then having that book proposal optioned for a movie. What?! 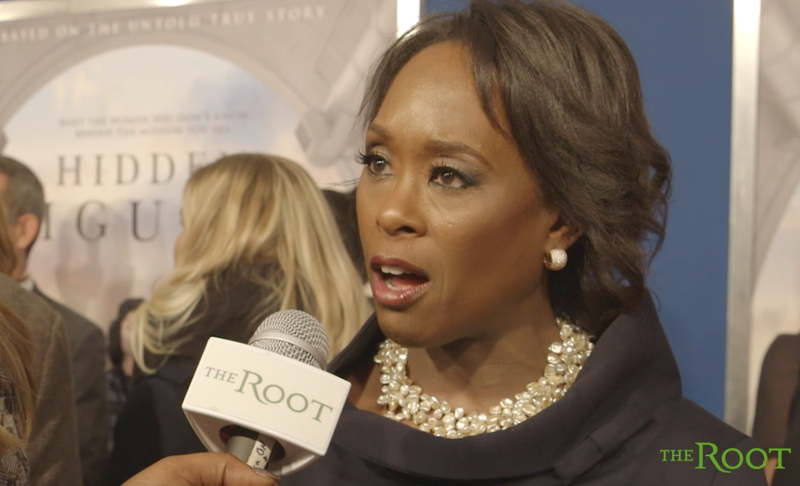 This is the true story of Margot Lee Shetterly. She is the black woman who helped bring Hidden Figures to life. Hidden Figures is the amazing but previously untold story of three black female mathematicians—Katherine Johnson, Mary Jackson and Dorothy Vaughan; their contributions to NASA; and pretty much their role in helping shape America's history in space exploration. This story is not only a surefire box-office smash but also a book that was written as the movie was being produced. Shetterly is now a New York Times best-selling author, and Hidden Figures is also the No. 1 young readers book. Shetterly wondered, as we all did, how does that happen on your first book? She and I chatted on the phone, mostly gushing over her seemingly overnight success. "It’s a lightning strike … fairy dust," she said. "I wrote the book I wanted to read," she added. "I wanted those kinds of women protagonists—strong, smart, successful, and [I wanted] to show the challenges they faced. I wanted it big and American." Shetterly also wanted the world to see that black people are as much a part of American history as anyone. "I didn’t know how badly other people wanted it, not just black women." Before the book was even finished, Hidden Figures producer Donna Gigliotti put it in the hands of Hollywood heavyweights and told Shetterly, "We're going to make … a movie out of your book proposal." Within three years, both the book and the movie were finished. And now Shetterly has gone from an unknown writer to a best-seller who not only gets to be in the same room as first lady Michelle Obama but also gets to be praised by her. So what's next? How do you move up from this height as an author? Shetterly is already working on her next book, which is part of the trilogy that Hidden Figures kicks off. Can we say “Yay!” about more black history being revealed? Shetterly is obsessed with midcentury stories and wants to continue telling them. She tells me, "The new story [I'm working on] is also unseen, but not quite untold. It deals with midcentury. Anything I will ever do in life will not be as consuming and overwhelming as Hidden Figures." She's modest, which is understandable, because not everyone gets this type of love with a first book, but success can be fleeting. I'm sure, though, that Shetterly will continue to see major success so long as she's writing our stories with such care and honesty. I'm looking forward to her continued success and am just glad I get to help tell her story.